In Austin, we take tacos very seriously. Paul Qui, Top Chef Texas winner and one of Food & Wine’s "2014 Best New Chefs," is no different. We asked the owner of QUI (and co-owner of East Side King) to tell us which tacos he loves to eat. His choices were surprisingly humble and, not surprisingly, each pick reveals some part of Qui’s own personal food style -- comforting, fresh, inspired, and fearless. 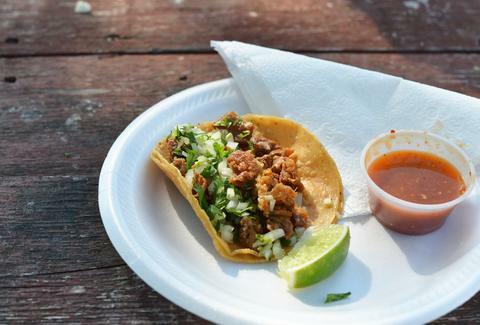 Buche is pig’s esophagus and tripe are beef intestines, and either way, this authentic street taco-style truck is doing them right. Paul likes them "done crispy on a corn tortilla with tomatillo salsa." 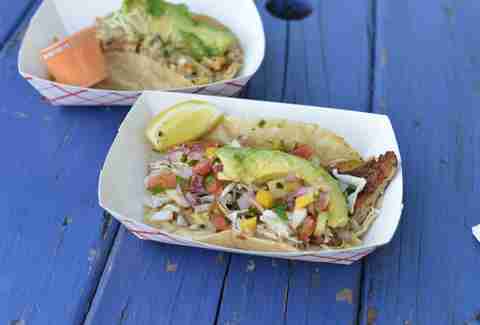 Paul also claims, "This taco trailer probably has the best street tacos in the city, I can't stop eating their tacos. They’re as good as any I've had in Mexico City." The Akaushi is filled with local Akaushi beef and oniony, cheesy goodness. 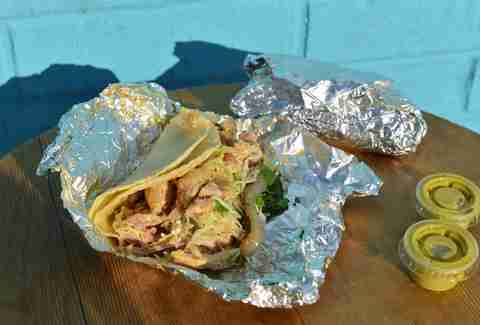 The Adobado is adobo-marinated chicken topped with fresh cilantro and onions. Paul says, "These tacos are an awesome representation of Austin Tex-Mex, plus I love the Doña Sauce." We’d have to agree -- and the line of people out the door any given weekend demonstrates this perfectly. 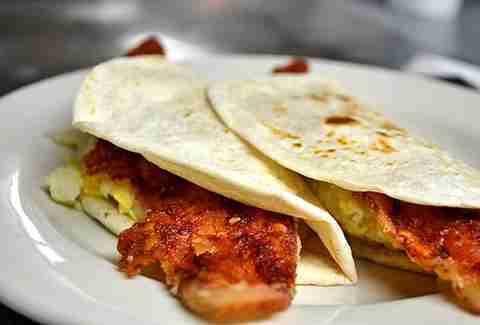 Whatever combination of eggs, beans, potatoes, or bacon you choose, the magic healing powers of Joe’s breakfast tacos are undeniable. Paul Qui is also a fan, "you can’t beat their fresh tortillas," he says. An Eastside landmark, Joe’s has been serving baked goodies and homestyle Tex-Mex for more than 50 years. This modest operation consistently makes "Best of Austin" lists and easily holds its own amongst the culinary heavy-hitters (also, their incredibly tasty tacos are HUGE). "Overall great tacos with really fresh ingredients," are why this is one of Paul’s favorite spots. Also, try their watermelon agua fresca -- the perfect drink for the inevitable ATX heatwave. Paul loves Fresa’s because of their "happy chickens and fresh ingredients." With a cool drive-thru concept, Fresa’s earns major brownie points for using humanely raised, pastured chicken from a local farm. The "La Fresa" is full of juicy achiote chicken and topped with avocado, cilantro, Cotija cheese, white onion, and cabbage. 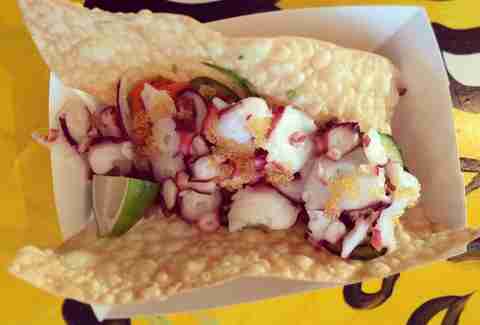 Qui’s own creation deserves a spot on any local taco list, just get a load of this description: butter-poached, sashimi-grade octopus served on a crispy moo shu wrap with vegetable ceviche and topped with tobiko (flying fish roe). Paul says, "this is a great example of where taco culture can be directed." Our advice: direct one into your belly.